Whatever the situation, if you need a towing service in New Braunfels or our local area, we can help. We offer a 24 hour emergency towing service for breakdowns and accidents, and can be in your location within a short time to reduce the disruption you have to deal with. When you call, our skilled call handlers will take a few details and can let you know our expected arrival time. We can also advise you on what action to take to keep safe and secure if you’re on the roadside after an accident or breakdown. If you have a commercial property with a parking lot, or if you’re a property management company which oversees private parking areas, then you might require regular services to remove abandoned or incorrectly parted vehicles. We can offer competitive, efficient and affordable rates to business clients. Our team are known for being dedicated, and quick to take action when needed. All you have to do is get in touch today to discuss the type of service that might be of benefit to your business. If you have been in an accident you will need to do several things. Firstly, of course, if you have had a serious accident or if anybody is injured, it is crucial to call 911 and get professional medical help. However, in minor accidents, you may simply need to have your vehicle removed from the roadside to get it repaired. This is where we can help. Nobody wants a long wait on the roadside - especially if it is late, or a busy or dangerous location. We can get to you with the most appropriate equipment to move your vehicle quickly - whatever type, and no matter what the damage - and help you get moving again. Whatever the issue with your vehicle, we have the equipment at hand to help. If you have had an accident and your vehicle is very badly damaged we may need to deploy a rollback service, which allows us to remove the vehicle from the roadside without any further damage. We can then tow it away to an agreed location, and it can be assessed for insurance purposes and repair. If you have a flat rear tire which can not be fixed, or your vehicle i not legal to use on the road, we might have to use a flatbed to remove it. New Braunfels Towing service is known as a reliable, and affordable towing service. That’s why people recommend us to their friends and family. 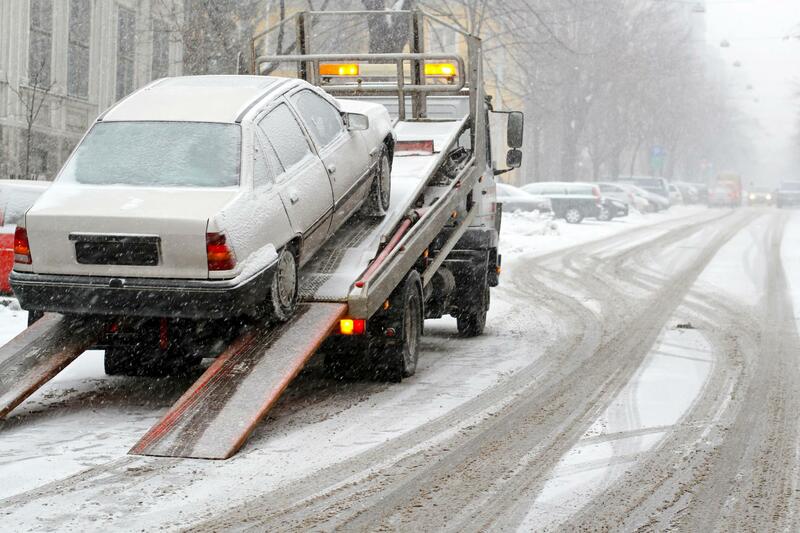 We know that in many cases, if you need a towing service, it is because something has gone wrong. We know that you don’t want hang around waiting for a tow truck to arrive, especially in the dark, or on an unfamiliar road. Our on-call team, and our excellent record of fast response times means we will be with you as soon as possible, and - of course - we will keep you fully informed about our arrival time so you know when to expect help to arrive.